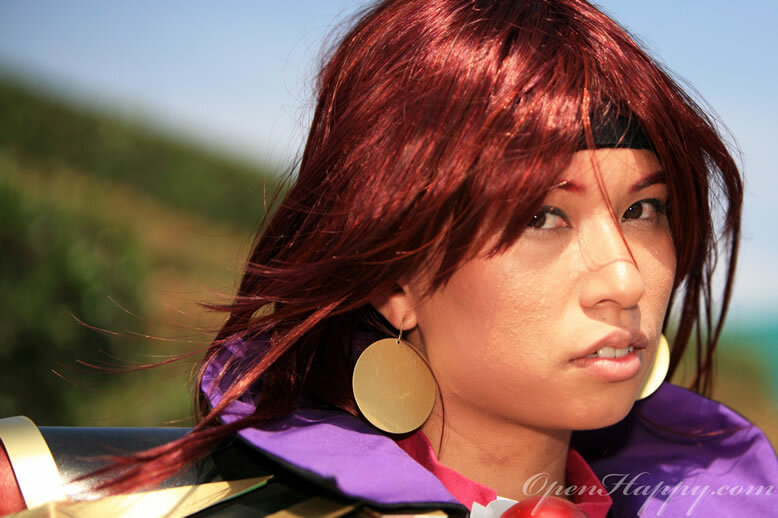 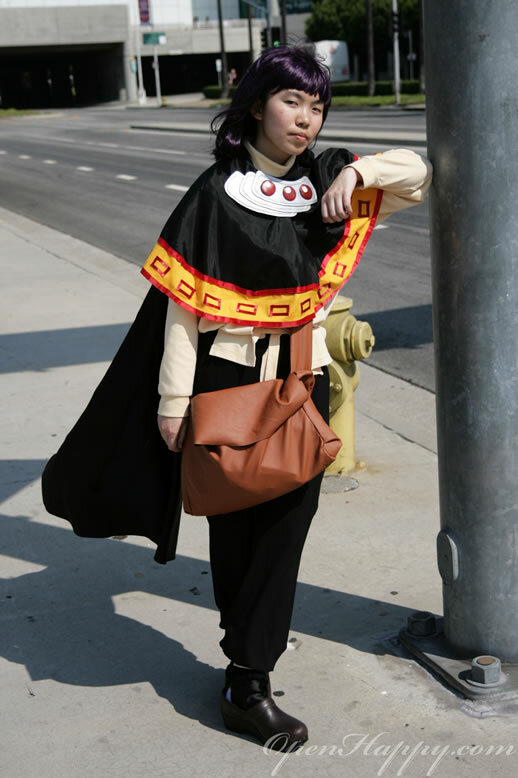 Lina was born in a small village in Zephillia, the second daughter of merchants. 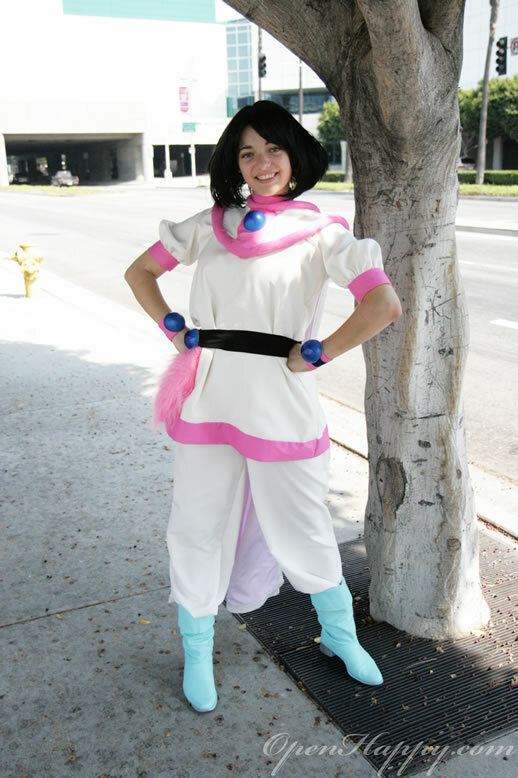 Her parents owned what was in effect the town's general store, which helped build up Lina's love of food and money. 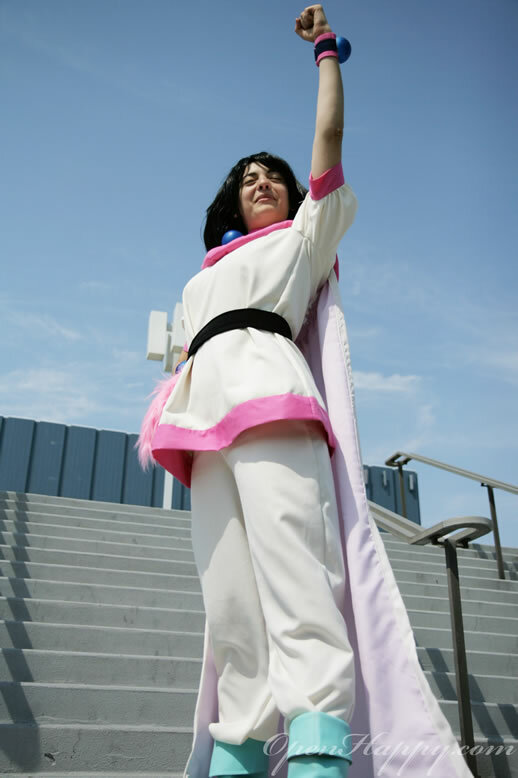 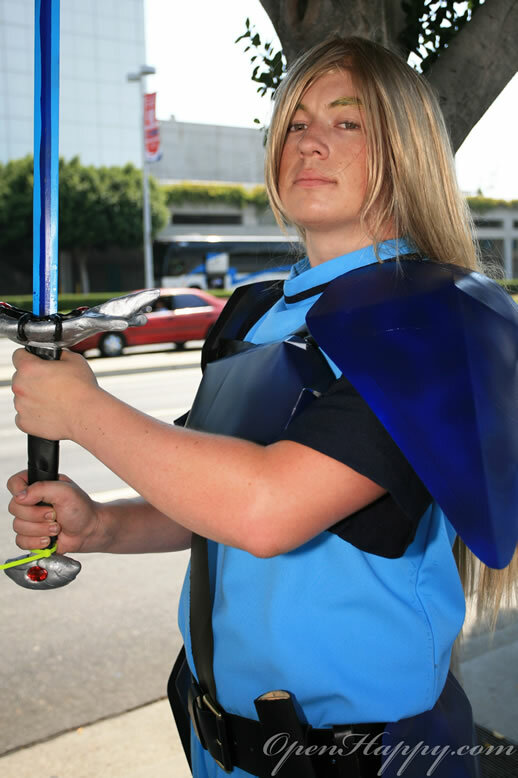 Her elder sister, Luna Inverse, was the darling of both her parents and the town, excelling in martial studies and quickly beginning to make a name for herself. 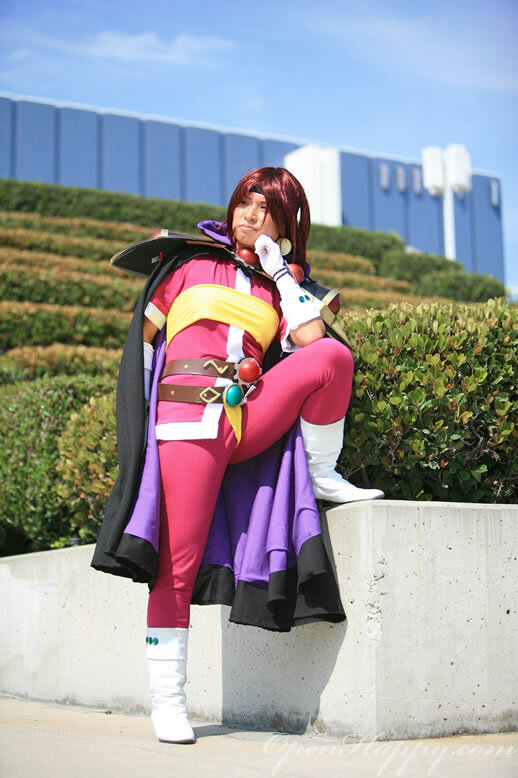 Lina proceeds to meet a man of equally questionable intelligence but formidable martial skills, Gourry Gabriev, when he "saves" her from a gang of bandits Lina had injured the previous night. 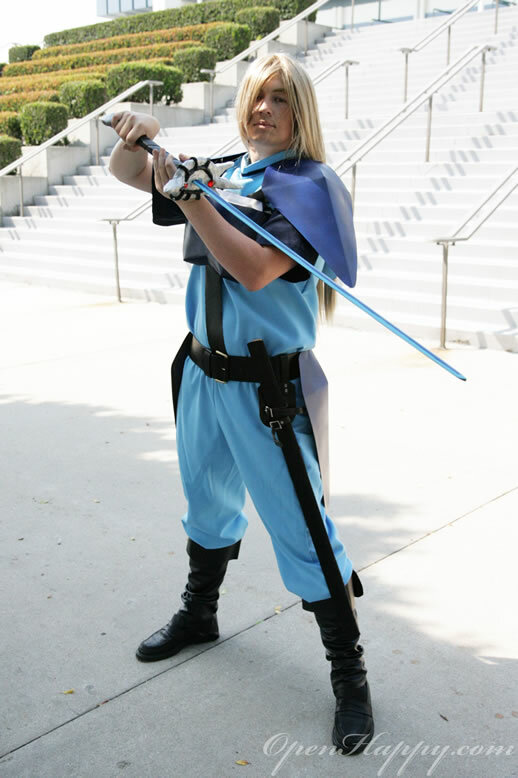 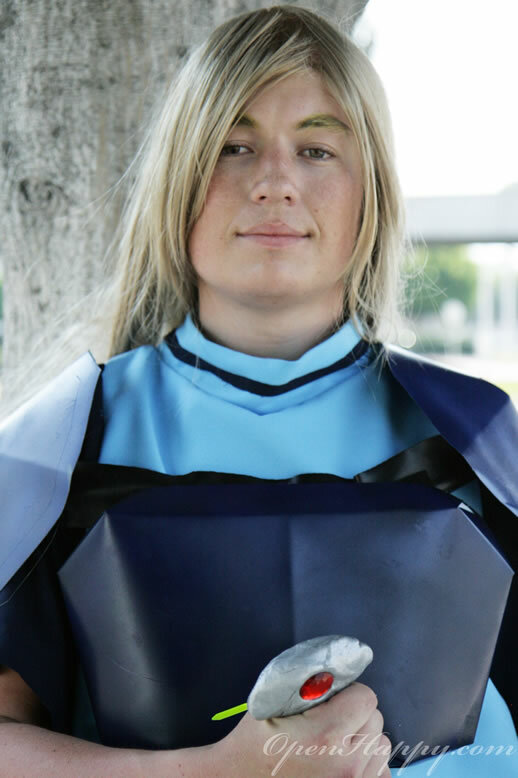 Gourry soon reveals that he carries the Sword of Light, a powerful magical artifact that Lina greatly covets. 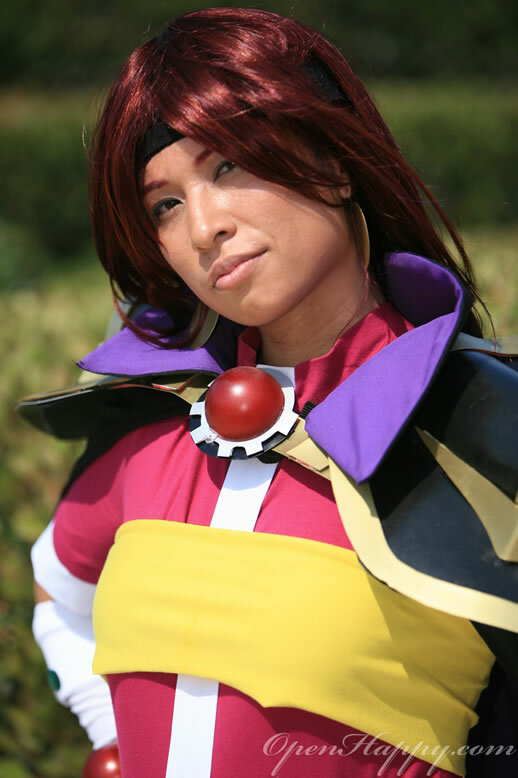 She announces her intent to follow Gourry around until he gives it to her and proceeds to do so.Lina Inverse is a detail (and long) series with light novel, manga, and anime. 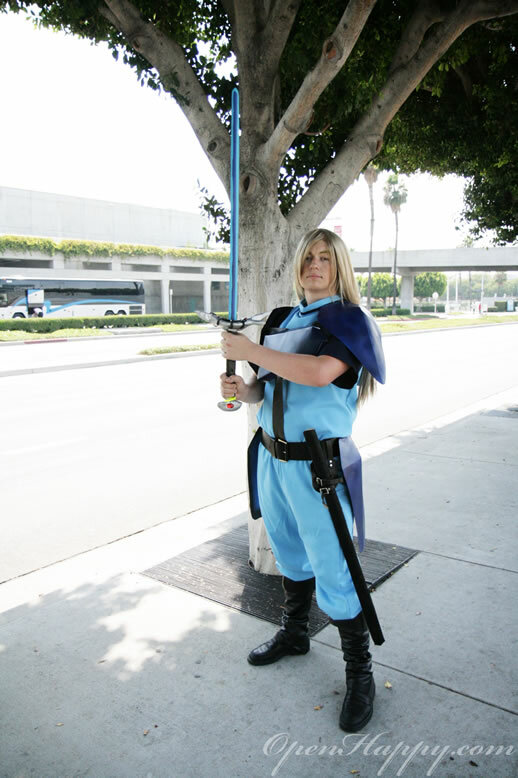 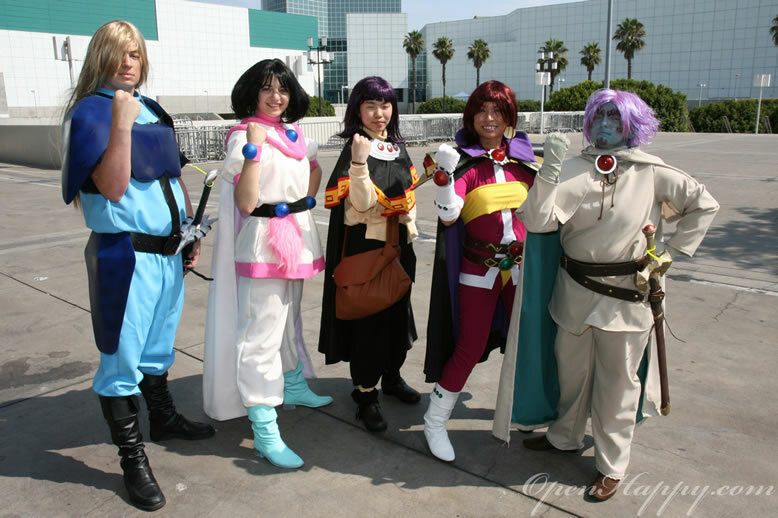 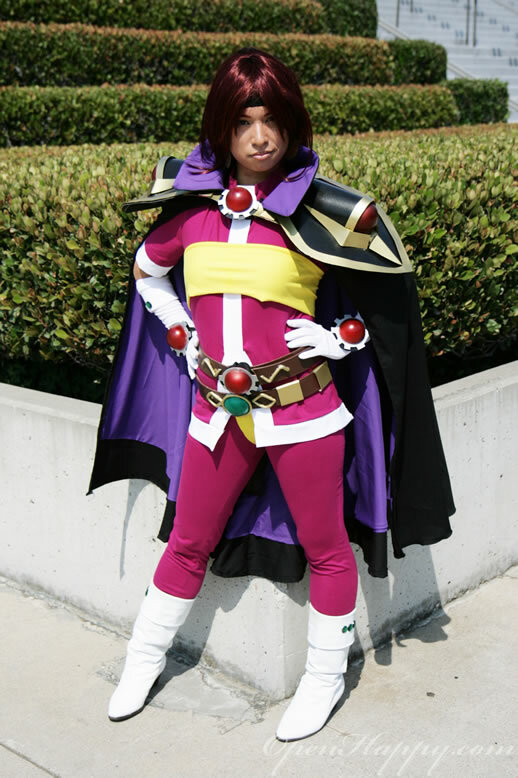 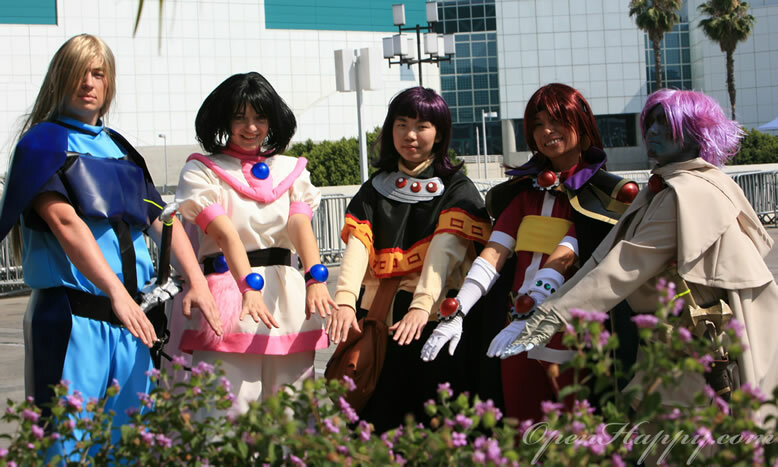 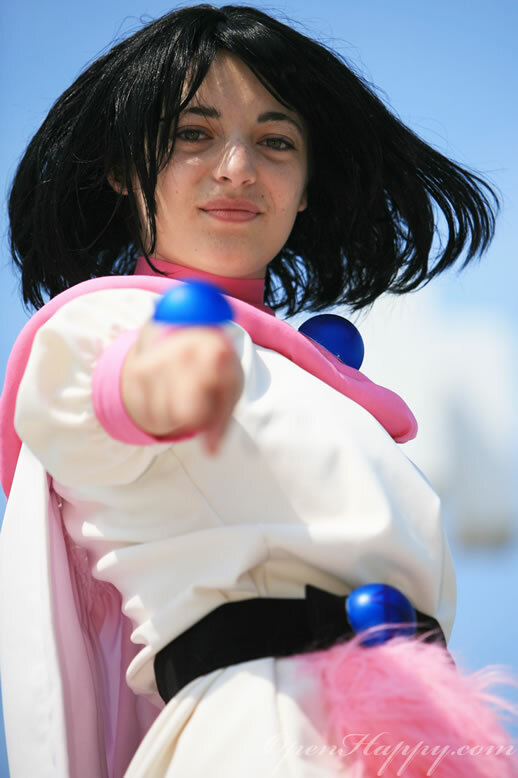 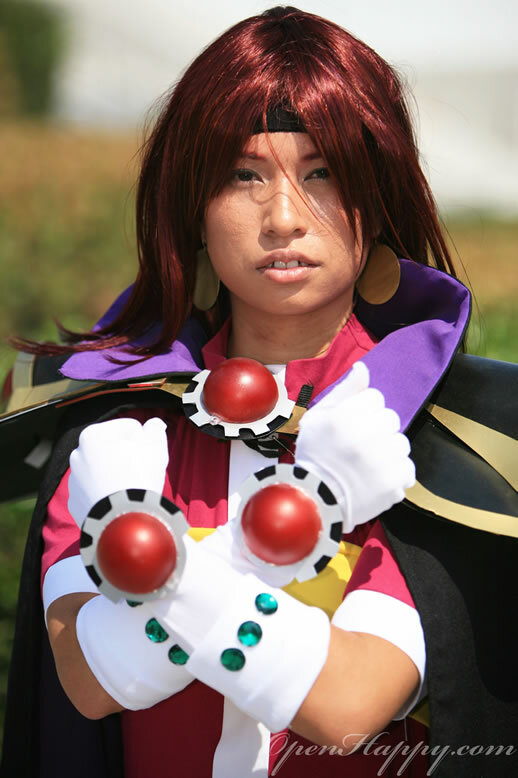 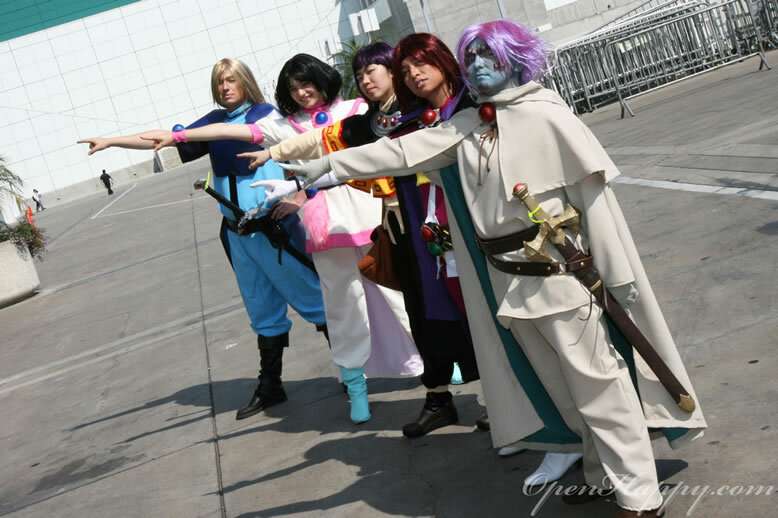 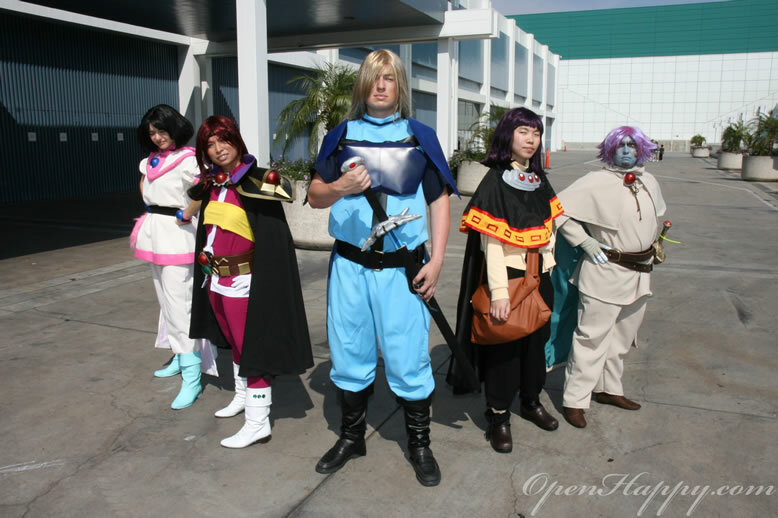 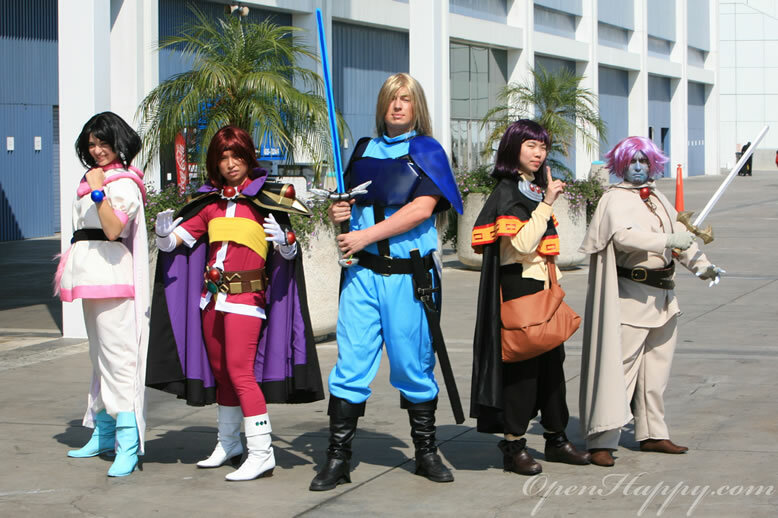 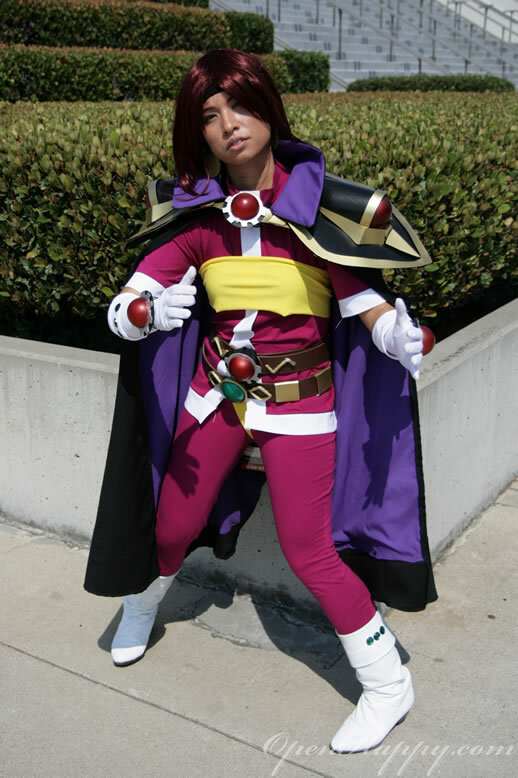 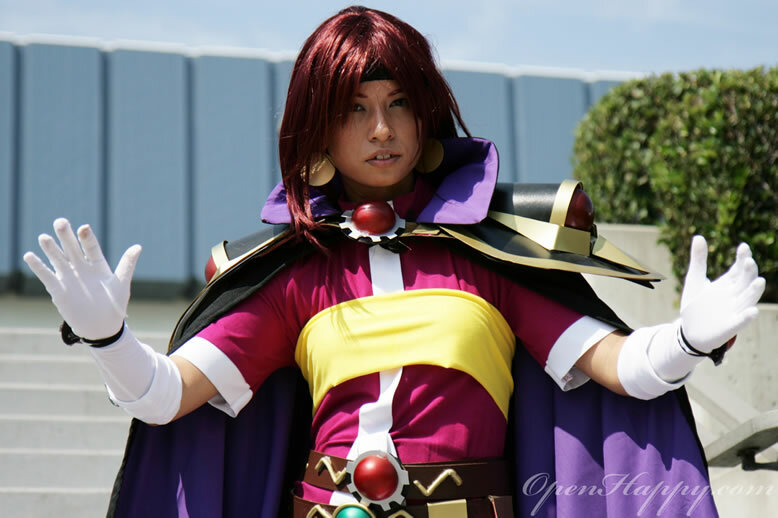 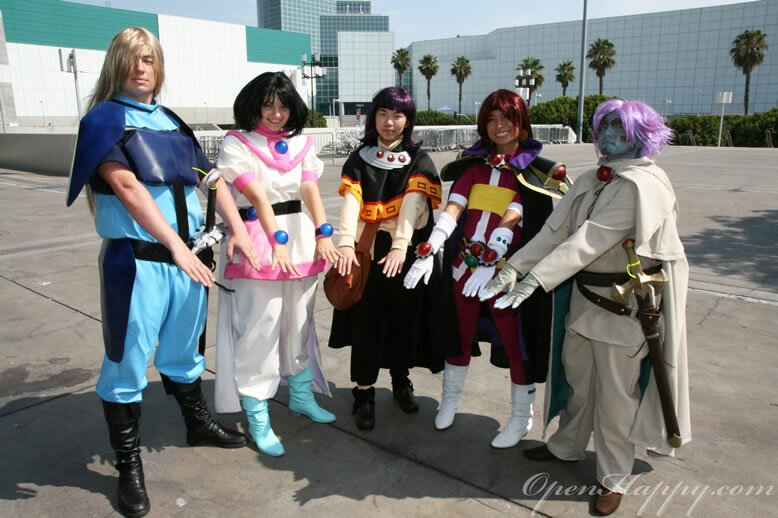 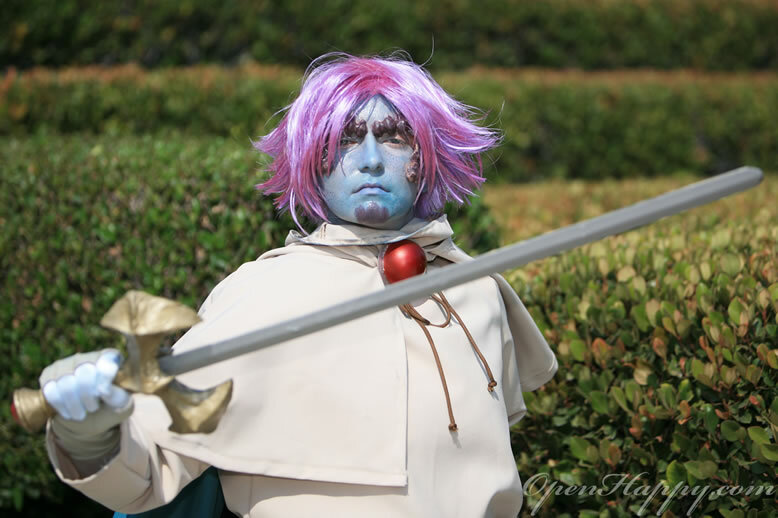 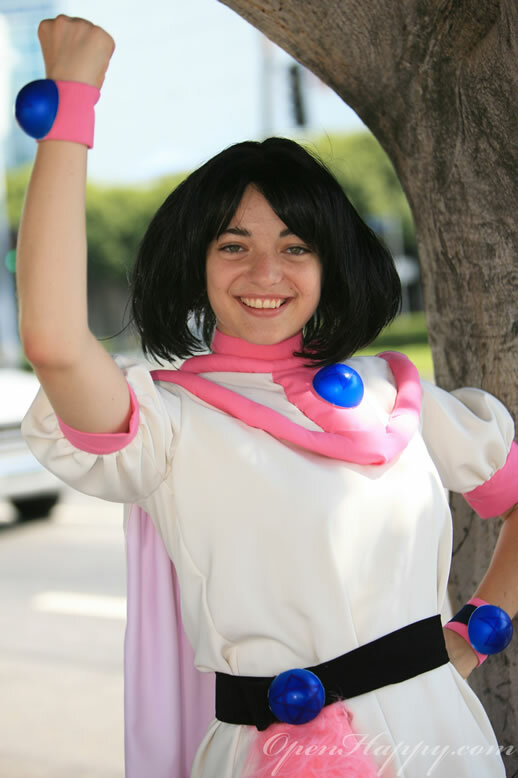 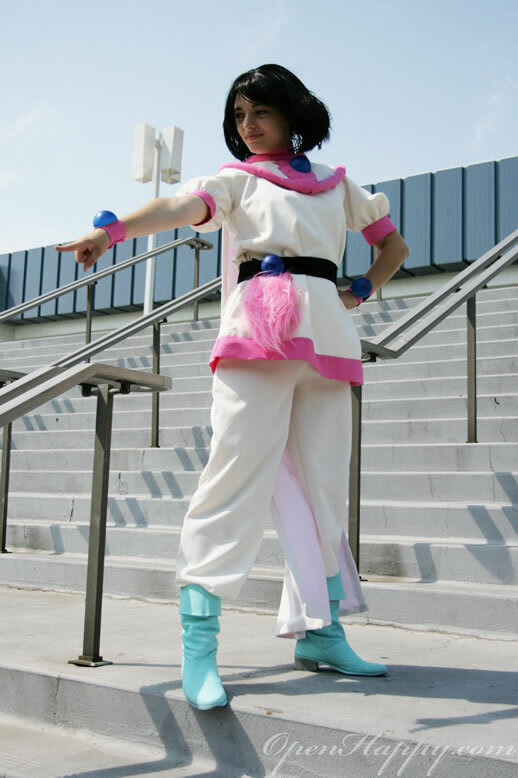 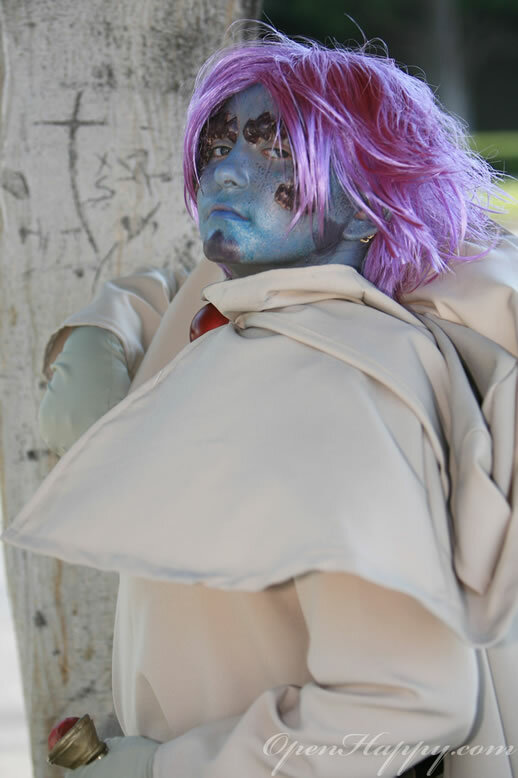 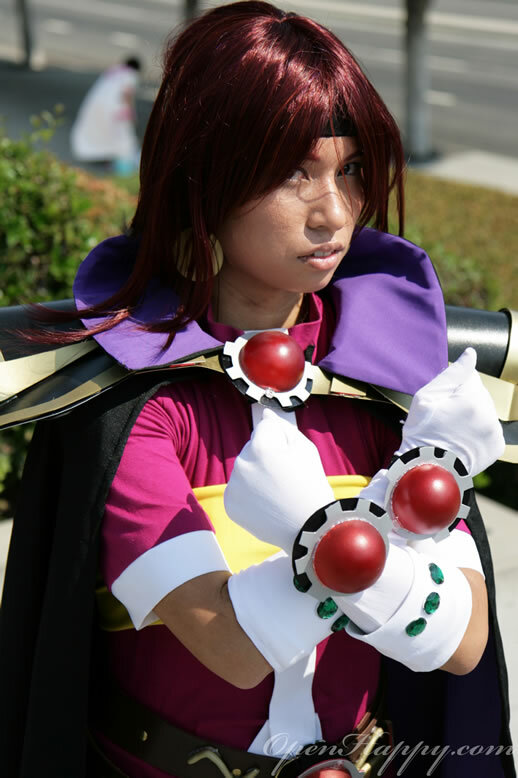 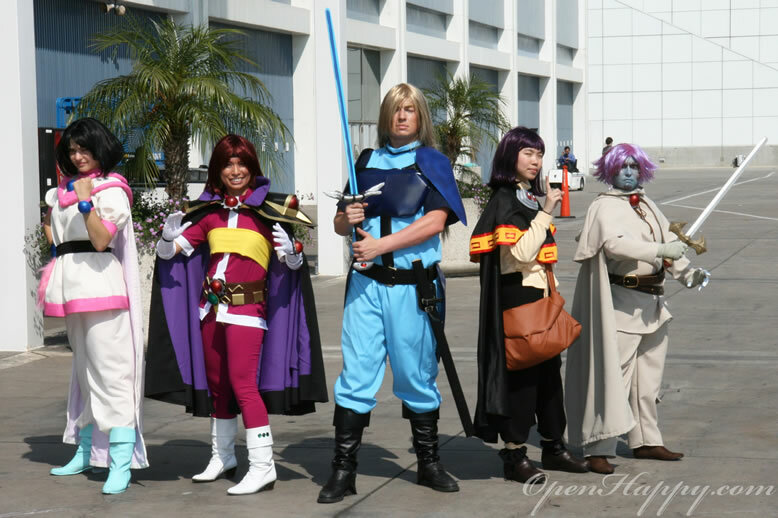 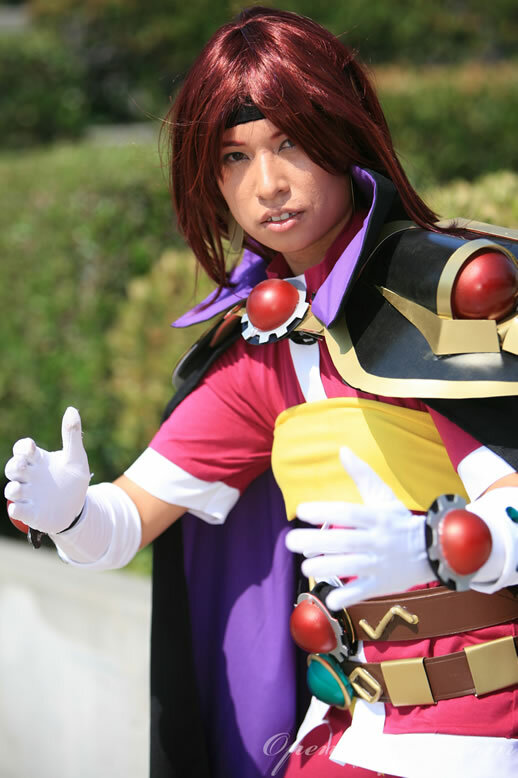 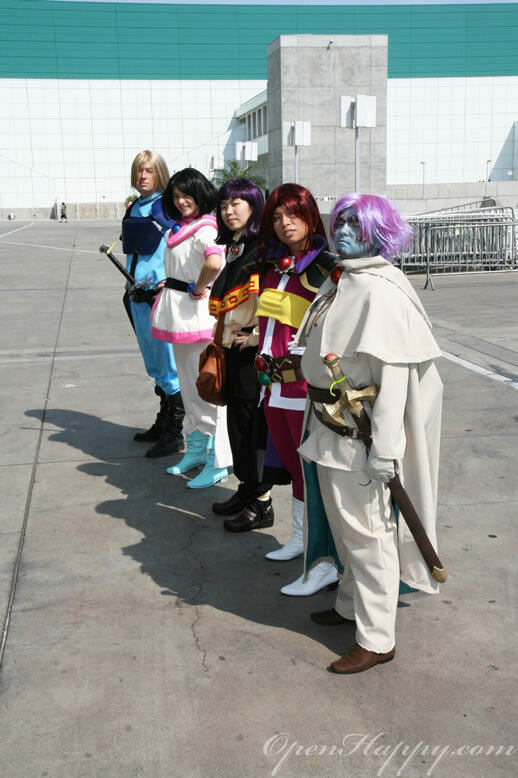 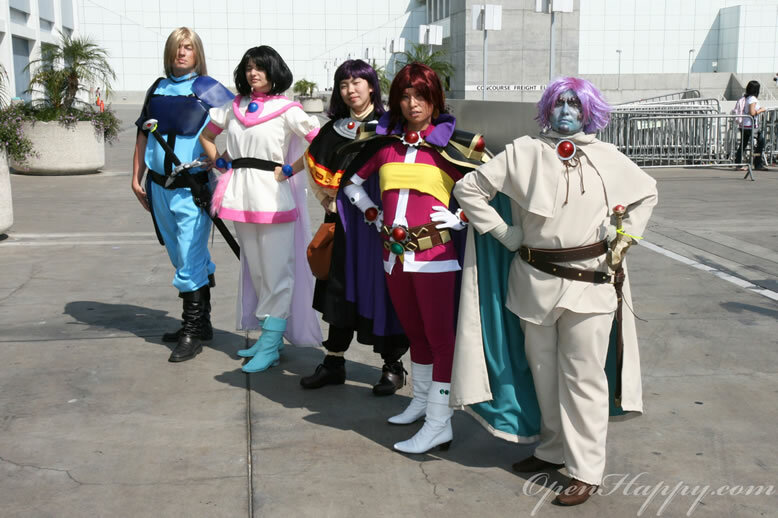 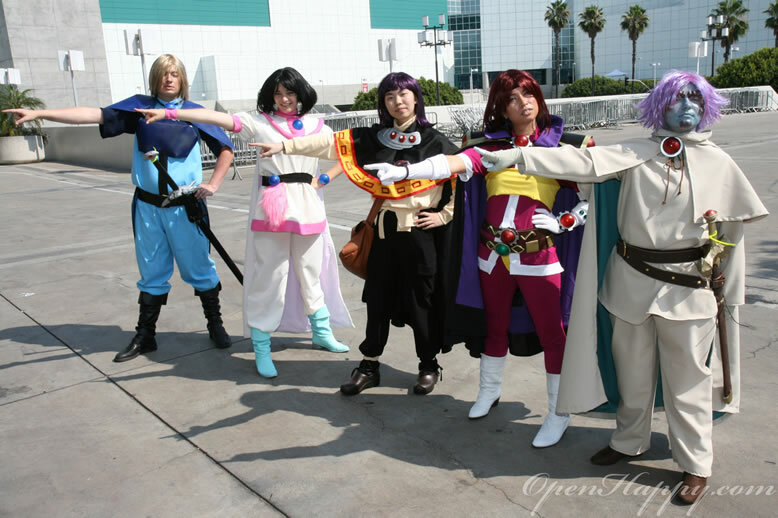 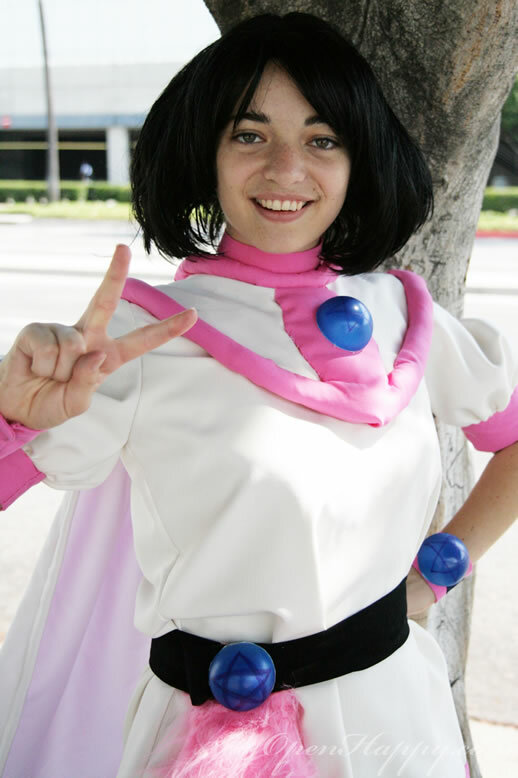 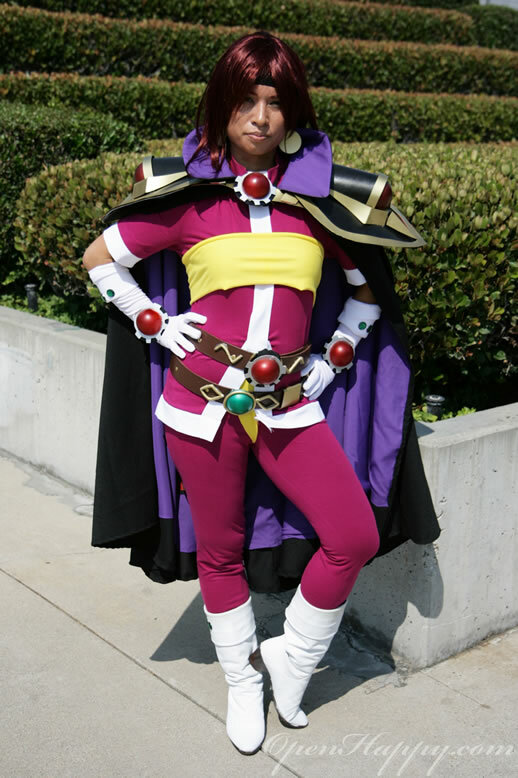 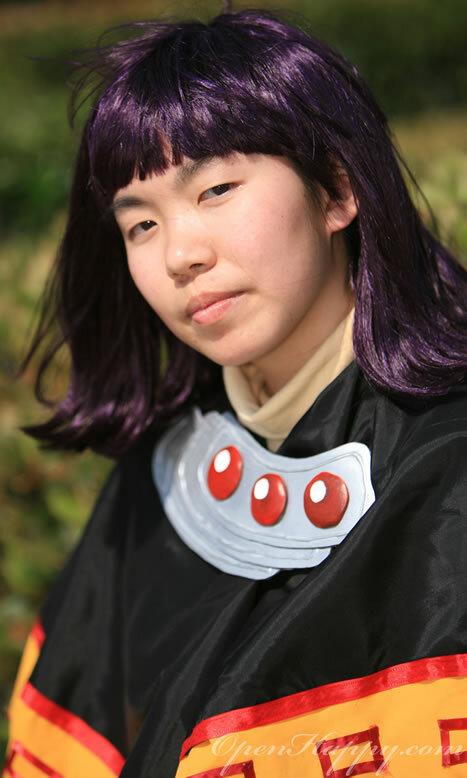 In any case, here is the Lina Inverse of Slayers from AX 2008. 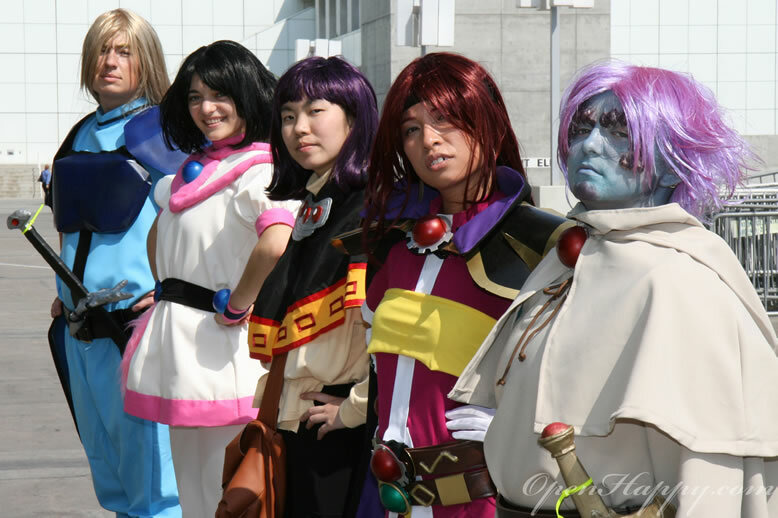 They are one of the best cosplay groups this year (IMO). 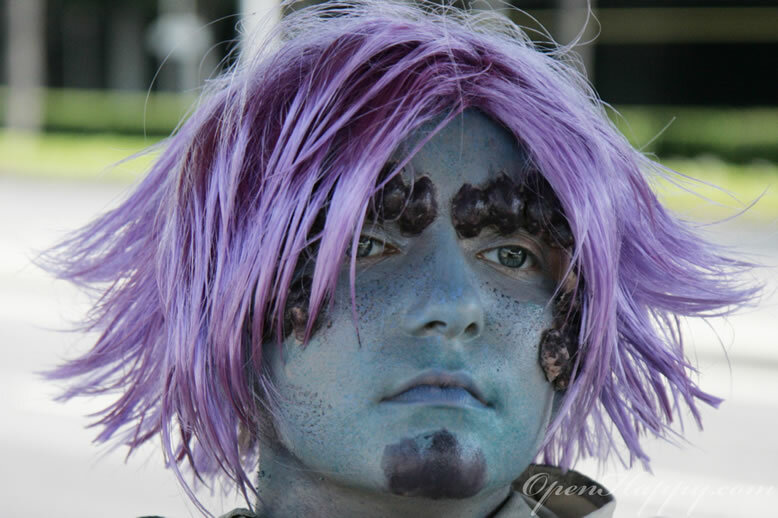 Enjoy, and don't forget to comment at the end of the page.